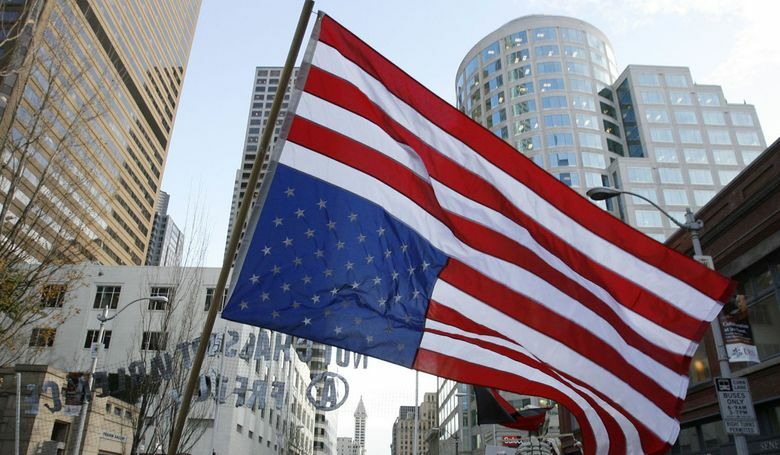 An upside down flag during a 2007 war protest in Seattle. ON a recent evening, a teenage boy knocked on the door to inform me that my American flag was flying upside down. His little brother, straddling his bike in the driveway, looked on as his big brother demonstrated what it means to have the courage of one’s convictions. I informed the young man that I had hung the flag upside down on purpose. He told me that he thought it was disrespectful and that he knew people who had died for this flag. Oh, boy. Where to start? I stepped out onto the porch and said, “Do you want to talk about this?” He reiterated that it was disrespectful. I tried to establish some legitimacy to my gesture. “My family members have served in the military,” I said, assuming that his concern was a matter of patriotism and that my hanging the flag upside down was an attack on this country. Unfortunately, we did not get much further than that. The conversation ended after a few more words, as it was probably destined to, with his retreating from my porch, secure in his position and proud of his effort, and me going back inside, only too late thinking of what I should have said. 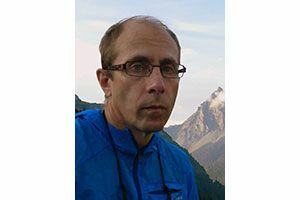 Vincent G. Barnes, of Edmonds, has taught in the Humanities Division at Shoreline Community College since 1988. First, I do respect the young man’s courage. What I wish I’d had the time and wherewithal to say was that an upside down flag is a symbol of distress. I do not mean any disrespect to this country and its institutions, to the flag, or to active military personnel or veterans. In fact, I love this country, warts and all. While I chose to serve in the U.S. Peace Corps, rather than the military like my father and brother, and having been a college teacher for close to 30 years, I do believe I have some credibility as an American. And that is precisely why I am registering my concern in a visible, visceral way. Disrespectful? Who could be more disrespectful than President Donald Trump? He has disrespected an entire religion, women, immigrants, a neighboring country, our allies, civil servants, the intelligence community and the free press. He has disrespected the intelligence and the basic goodness of Americans by repeatedly lying right into the camera. By appointing completely unqualified people to head them, he has disrespected the hard work of government agencies to make this a stronger, safer country. A case in point: Among America’s greatest accomplishments are its environmental laws like the Clean Air Act, the Clean Water Act and the Endangered Species Act. While China and India choke on smog and most of the world must rely on bottled water, Americans can, for the most part, breathe clean air and drink water right out of the tap. You can thank federal leadership, including many Republicans who recognize that without a livable planet, none of our other arguments even matter. As part of our brief conversation on my porch, I also told the young man I’m deeply worried about our country. He quipped, “I was until January 20th.” The teacher in me would have liked to ask, “Why? On what do you base this?” If he could have shown me that our economy, crime rate, international standing, environment, health care, security, not to mention civility, were worse off under Obama, I would have been impressed. I only hope he went home to do his homework by reading, arming himself with facts instead of jingoistic expressions overheard from Mom and Dad, and sharpening his reasoning skills, instead of planning how he might vandalize my home in retribution for my disrespect for his flag. Well, one can hope.